Being a European is not about having a passport, it is about sharing EU values. 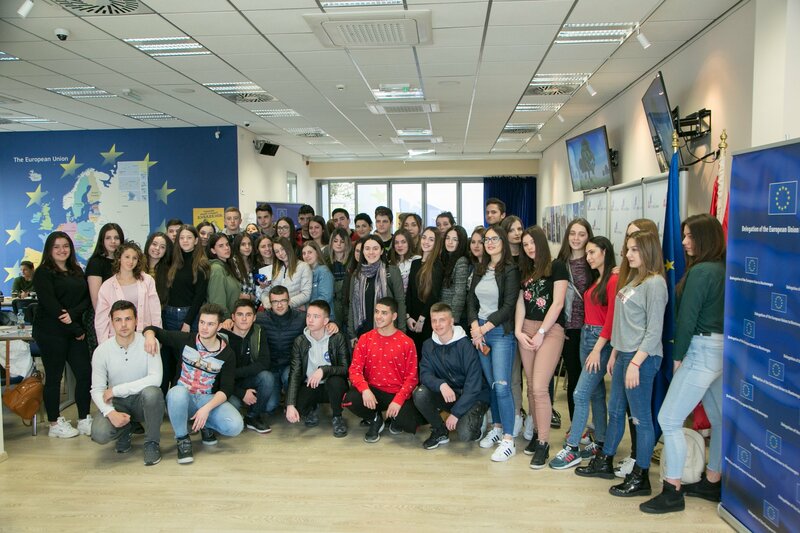 This was the opening message during the promotion of the European Ambassadors Club in the EU Info Centre, for the selected high school students from Niksic, Berane, Rozaje, Plav, Cetinje and Podgorica. Anyone who wants to will have the opportunity to share European values in their communities through the title of young European Ambassador. 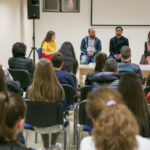 While presenting the programme, the Head of Political, European Integration and Trade Section in the EU Delegation to Montenegro, Plamena Halacheva, said that the goal is to create a network of young people interested in the European Union who will have the opportunity to learn more about the Union through this programme. “Young Ambassadors will be given the opportunity to participate in the events we will organise, such as the Europe Day and others. What is important is that they will transfer their knowledge and values further to their families, their schools, and their friends. 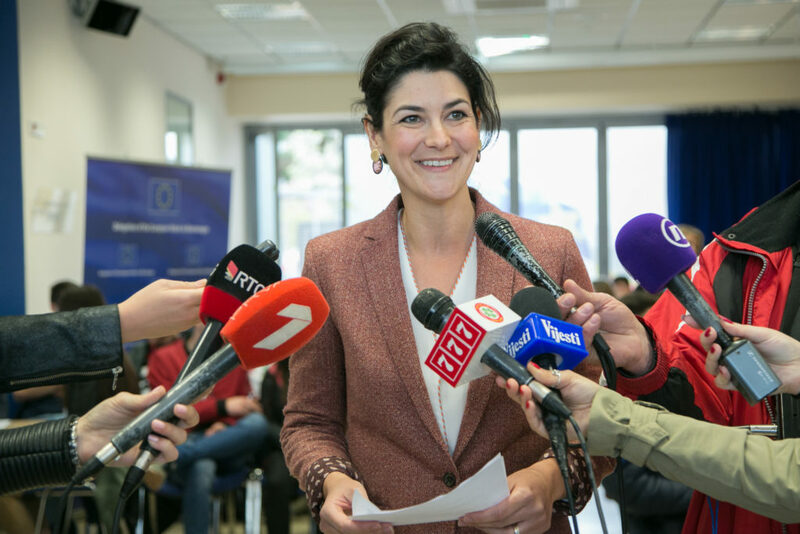 We want to enable them to experience the European values first hand, “Halacheva said. For Lemana Srdanovic, a fourth-grade student from the Beco Basic High School from Plav, the notion of the European Union stands for unity, prosperity and numerous opportunities, among others, in the field of education. “When it comes to the EU, I think about the opportunities that will be given to the young people by opening the borders,” Srdanovic said. She expects that her knowledge of foreign languages, and her interests and ambitions will help her role as a young European Ambassador. Tatjana Minic, a student from the Ivan Uskokovic High School from Podgorica, believed that belonging to a community of European nations means that there is a greater possibility for all young people who want their voice to be heard more strongly. In this concept of a community, she sees acceptance of diversity, as well as belonging to a community that is more functional than the one we currently are a part of. 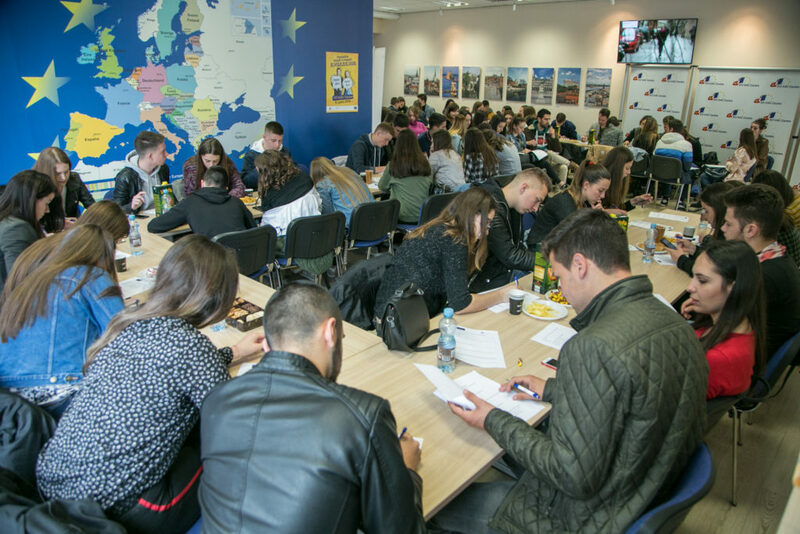 The club, as explained by the EU Info Centre PR Manager, Ferida Mandic, is a good way for young people to find out what European integration will bring to them. “The EU Delegation and the EU Info Centre plan to organise various activities where young ambassadors will be able to participate. 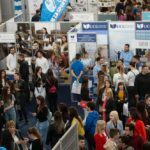 The first great activity which awaits us is the celebration of the Europe Day, which will be marked in various cities in Montenegro and our young European Ambassadors will be a key part of our team,” announced Mandic. The club for Young European Ambassadors is being organised for the first time this year. The Young Ambassadors will be members of the club for a year, after which a new call for applications will be open for new members.